Clark, G. Chris, Ambrose, G. Alex, Mettetal, Gwynn. Sullivan, Robin, Pedersen, David (2016) “Digital badges and educational development” Professional & Organizational Development (POD) Annual Conference, Louisville, KY.
Clark, G. Chris, Ambrose, G. Alex (2017) “Unbundling with Digital Badges: A Personalized Approach to Faculty Development” Educause Conference: ELI Annual Meeting, Houston, Texas. University Business Magazine “Higher ed’s digital showcase: How colleges and universities use ePortfolios to promote the work of students and institutions” (2016). 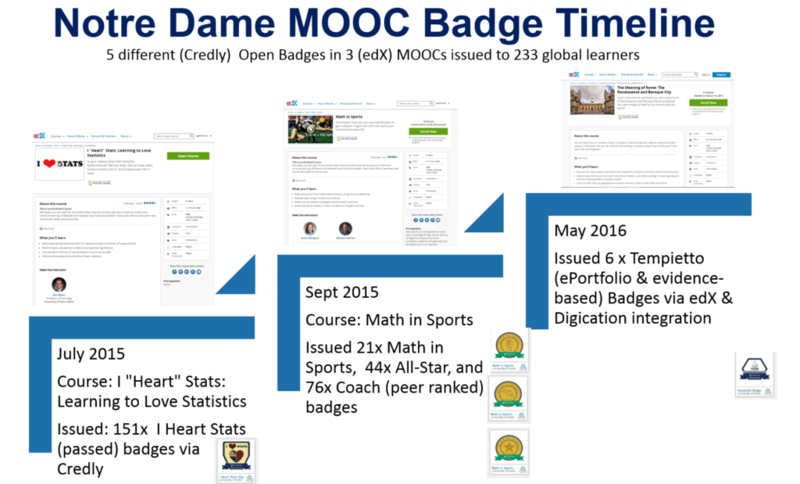 *Over the past year, the University of Notre Dame’s Kaneb Center for Teaching & Learning and the Office of Digital Learning designed five different Credly Open Badges across three edX MOOCs and issued them to 233 learners around the globe. 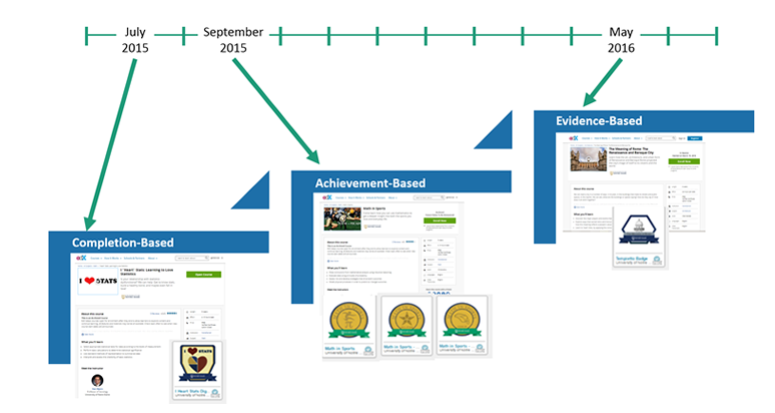 *Each MOOC for which the team piloted badges had different goals and requirements for awarding badges, and each pilot taught the team different lessons about the badges’ value to students. *Analysis of the data gathered for each pilot helped the team settle on recommendations for future use of badges in MOOCs. Let me introduce you to Alaa. Alaa is a Syrian Architecture student at Damascus University. 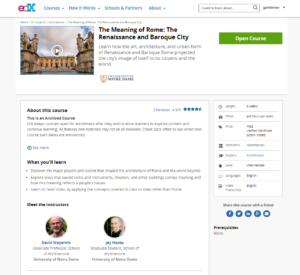 Last month she completed a Notre Dame Architecture edX Massive Open Online Course (MOOC) called The Meaning of Rome: The Renaissance and Baroque City. 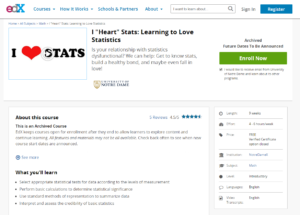 This wasn’t your typical MOOC that culminated in a verified certificate (at cost). 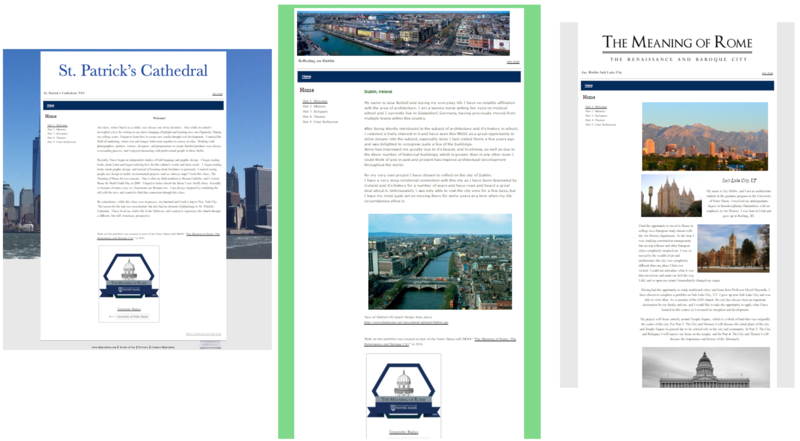 Notre Dame faculty, Office of Digital Learning course designers, and the Center for Teaching & Learning researchers designed this MOOC with an optional performance/project-based capstone challenge that gave students (who passed the edX course with a 70% or higher) the opportunity to build an ePortfolio that demonstrated skills and knowledge from the course. In essence, they offered a free opportunity for students to showcase their learning in a public, dynamic way. This was far more than your run of the mill watch videos and take a multiple choice quiz for a MOOC certificate. (To see the resource and the documentation website with the ePortfolio project description and details on how to get started–including a template–click here.) 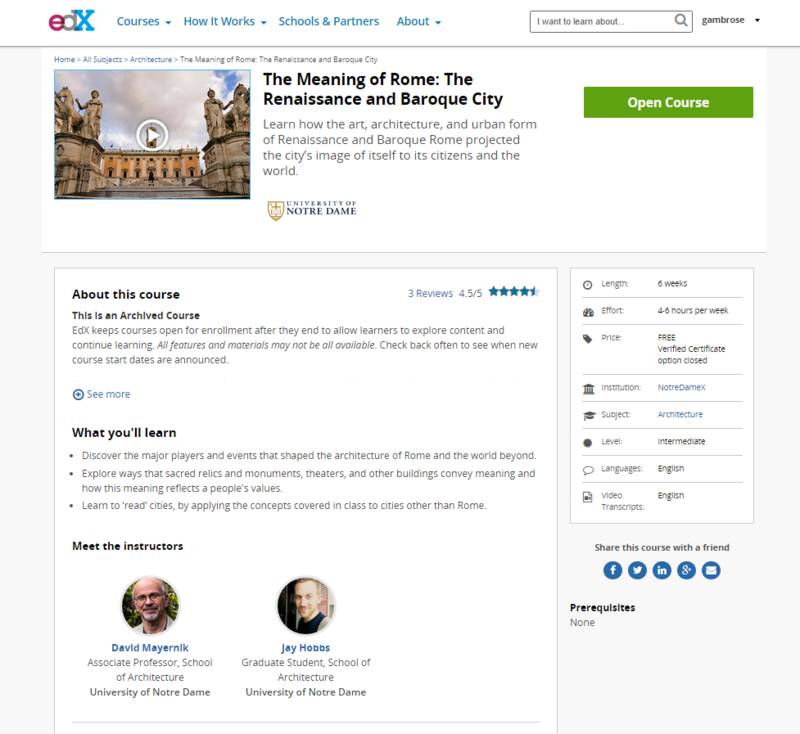 The campus ePortfolio group worked with engineers from Academic Technologies and Digication (our campus vendor) to build a first-in-kind seamless integration into the edX platform, giving all MOOC learners a free ePortfolio account that was connected to their edX profile. The MOOC learners then submitted their ePortfolios for Faculty & TA review through Digication’s back-end Assessment Management System. A rubric was used to evaluate the quality of the MOOC learner’s ePortfolio. Back to Alaa. She was one of four MOOC learners that not only completed and passed the course but also received a passing rubric score that earned her a digital badge. See the screenshot below for the completed details of the badge, description, criteria, and list of earners. 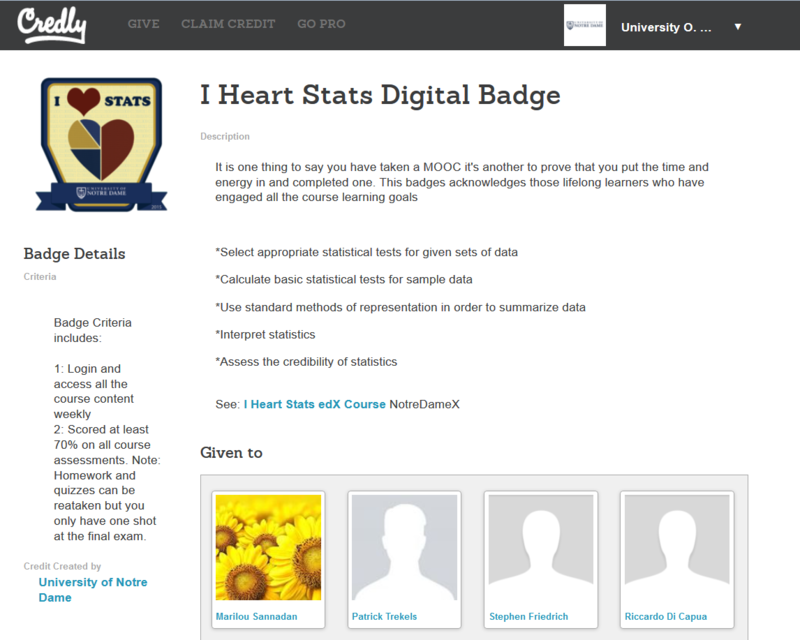 One of the first and most evident benefits of issuing badges to Credly profiles is that it begins to humanize the MOOC classmates by providing profile pics such as those seen above. Clicking deeper provides another level of significance. 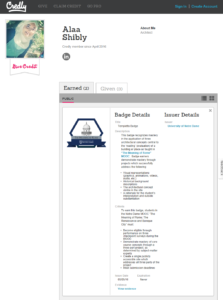 For example, when you click into Alaa’s pic, you can see the meta-data that is baked into and connected with the badge. Most importantly (and usually under-used) is the “evidence” field. When you click on Alaa’s evidence link it takes you to her public ePortfolio, which can viewed here. I encourage you to click around to see her evidence of what she gained from the MOOC. Below you will find some of my favorite snippets of her pictures, drawings, videos, and reflections. While her country is being torn apart through a civil war from ISIS, Alaa states that she wants “to bring attention” to her ancient city. This is the potential of open evidence. 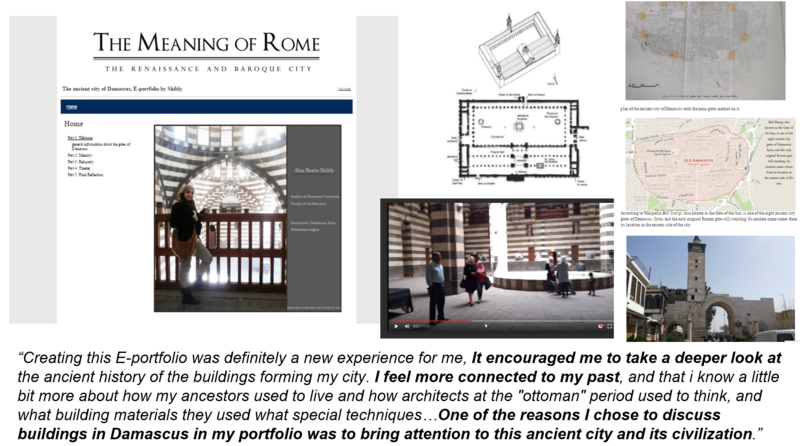 The ePortfolio and the open badge empowered this young Syrian woman to use Notre Dame’s free Massive Open Online Course to demonstrate her interest in and competency with architectural analysis–using her city as her canvas. This is what open evidence of learning means: to be transparent, to give public visibility, to bring attention to Alaa and her skills through her city of Damascus. At the center of his is digital portfolios and badges. If paired right,they can unlock the power of evidence behind the open badge and optimize a student’s ability to collect an available body of projects and the process to make and prove a claim. 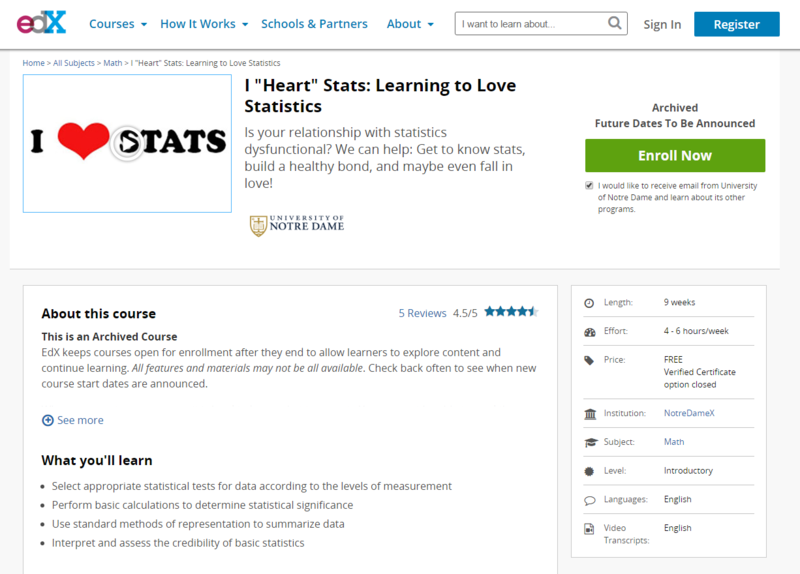 If Notre Dame didn’t offer this free Massive Open Online Course would Alaa have had this opportunity? 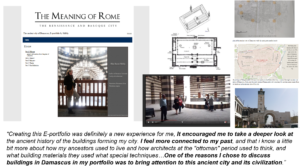 Could we have known or seen Alaa, her work, her story, her learning, her architectural analysis of her ancient city without the ePortfolio? Would we have bubbled up Alaa from the thousands who enrolled in the course, hundreds who finished the course, the dozen who built an ePortfolio without the badge? From St. Patrick’s Cathedral (NYC), Dublin (Ireland), and Salt Lake City (UT). Anthony, Elizabeth, Ambrose, G. Alex (2016) “Examining the Role of Digital Badges in a University’s Massive Open Online Course” Association of Authentic, Experiential, and Evidenced-based Learning (AAEEBL) Midwest Regional Conference. Notre Dame, Indiana. 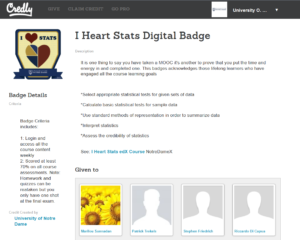 5) MOOC participants need more information about digital badges to fully understand and appreciate their value. 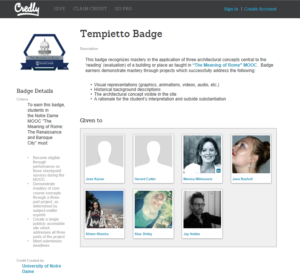 With these conclusions in mind, we offer three design recommendations for badges in MOOCs: create digital badges that recognize, validate, and assess distinct and specialized knowledge or skills gained in the course; distribute more information about the value of digital badges and how to use them; and connect digital badges more directly with social networking sites, particularly LinkedIn. The Kaneb Center for Teaching & Learning, in partnership with the Open Badges in Higher Education, is hosting the Association of Authentic Experiential, and Evidence-Based Learning (AAEEBL) Midwest Regional Conference on Wednesday, May 11 and Thursday, May 12, 2016. Click here for more details about the conference, program, and registration. In the academic year 2015-2016, the First Year of Studies in collaboration with the Division of Student Affairs launched the Moreau First Year Experience, a two-semester course sequence designed to assist first-year students in making a meaningful transition to collegiate life at Notre Dame. In our inaugural year of Moreau First Year Experience, we were able to collect, store, and analyze student data through Sakai and ePortfolio submissions in collaboration with the Kaneb Center for Teaching and Learning and Office of Information Technologies (OIT). The data are used to provide interventions for students with at-risk performances and show how students meet course goals of integrative learning and increasing sophistication in the use of technologies (audio, image, and video) through voluntary digital badges. In this presentation, we will show how the two spectra of interventions and celebration of exemplar work are being used to enhance the value of the Moreau First Year experience course. The Moreau First Year Experience has significant campus-wide impact because it involves students and instructors from all university disciplines and will soon be the one academic experience common to all students at Notre Dame. As such, the Moreau First Year Experience is a uniquely powerful way to study and analyze successful student behavior. Dawson, Maureen, Ambrose G. Alex, Lanski, Alison, Anggara, Trunojoy, Dillon, John (2016) “Integrative Student Assessment in the Moreau First Year Experience through Analytics, Digital Portfolios, and Badges” Association of Authentic, Experiential, and Evidenced-based Learning (AAEEBL) Midwest Regional Conference. Notre Dame, Indiana. 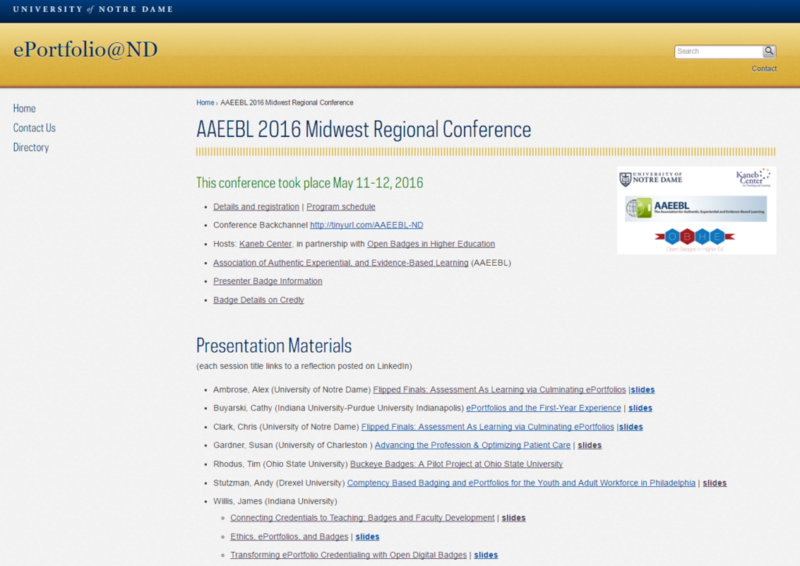 The Kaneb Center for Teaching & Learning, in partnership with the Open Badges in Higher Education, is hosting the Association of Authentic Experiential, and Evidence-Based Learning (AAEEBL) Midwest Regional Conference on Wednesday May 11 and Thursday May 12, 2016. Click here for more details about the conference, program, and registration. 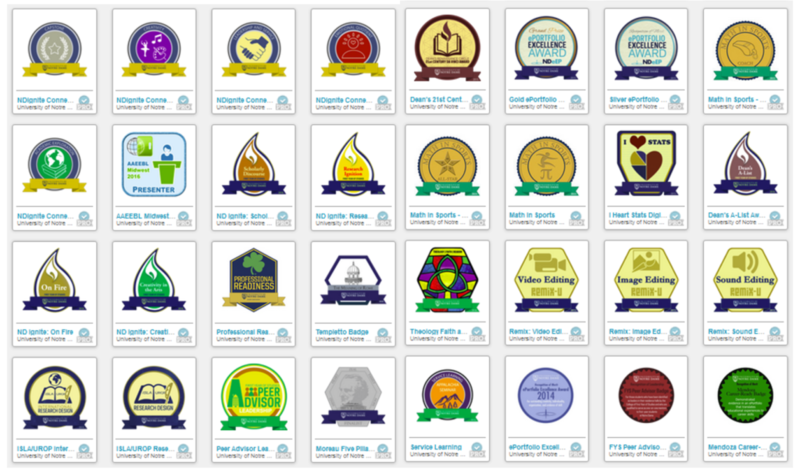 Click here to see the 151 Credly badges that were issued. We also did a design-based research study on this project that you can read more about below. 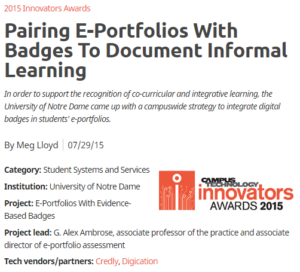 Ambrose, G. Alex, Anthony, Elizabeth, DeJaegher, Duan, Xiaojing, Crystal, Dillon, John ( 2015) “Examining Digital Badge Impact on Learners’ Profiles, Performance & Perceptions in a Massive Open Online Course” University of Notre Dame, Research & Assessment for Learning Design Lab. Click on the hyperlink above to read our self-published paper. Unfortunately, this short paper was not accepted to this year’s Learning Analytics & Knowledge Conference but blind review journals and conferences won’t stop us from getting this work out (thanks to self-publish blogs and Academia.edu). So in the meantime, let’s use this self-published citation for attribution. Massive Open Online Courses (MOOCs) provide universities with opportunities to advance educational research, improve access to education, and exhibit institutional merit. Universities worldwide have attempted to take advantage of these opportunities using various platforms (e.g., edX, Coursera) by issuing certificates of completion. 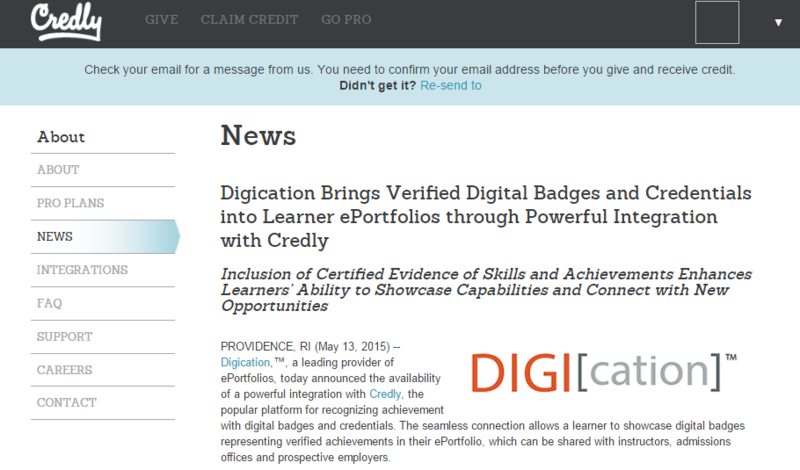 The effects of digital badging as an alternative credential in MOOCs, however, have yet to be fully explored. 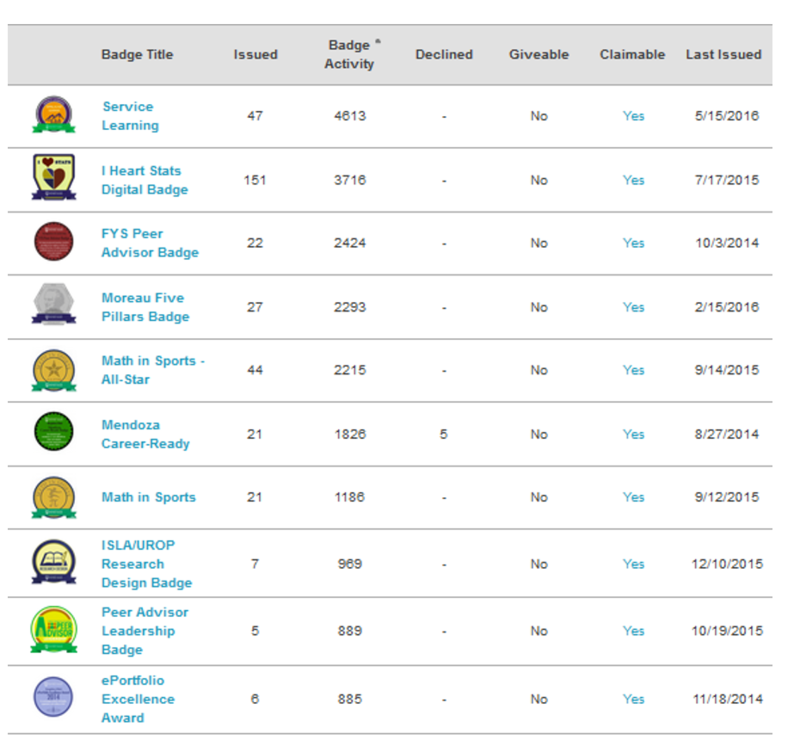 This pilot case study examines the impact of digital badges on learners’ profiles, performance, and perceptions throughout the 8-week duration in a MOOC. 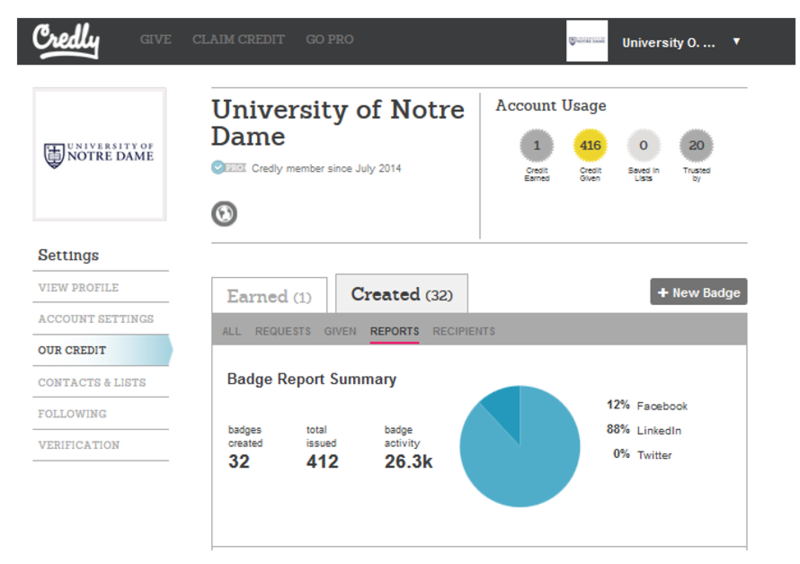 A design-based research approach, learning analytics techniques, learner surveys, and observational/performance data were used to explore relationships between digital badging and MOOC passers. Preliminary findings suggest digital badging did not have an impact on MOOC course completion when compared to platform-issued certificates, but interest in a digital badge may be an indicator of commitment to the course. After better understanding the learner profile and perceptions of badge earners, design pitfalls and potential implications are shared.